Everyone looks forward to Graduation Day. The commencement exercises culminate the end of a seemingly endless pursuit. By the end of the day, every student in the ceremony shall be certified for gainful employment. Within a few hours they will transition from “the enabled” to “the qualified”. They now have the means to become productive members of society and actively contribute to the economy by earning an income. But first they have to get a job. So how do you find a job when everyone expects you to have experience? How can you get a job and get your career started? That’s exactly what we’ll cover in this article. Sit back and bring your coffee, because this article is very long, and it will show you the best ways to find the right job for you. If you would rather check a shorter version, here’s an infographic for you. If you want to read the complete guide, scroll down and enjoy. The end of one stage of our lives; academics, marks the beginning of another, our livelihood. For most students, the morning after brings the dawn of a new life and a new set of challenges. It is a different venue where the stakes are higher but it is nonetheless competition. And the field consists of players who are stronger, more talented and come from diverse backgrounds. Finding a job is a challenge that is not exclusive to new graduates. Every person who aspires to have a means of livelihood or build a career makes up the job market. They could be those who are transitioning careers, looking for better opportunities or finding more work to augment income. The diversity of the job market makes it extremely competitive. You will be competing with others who may have greater experience, higher level of certifications, more recommendations and accomplishments. The operative word here is “compete” because that is what the job market is, a competition. Anyone can find a job but to be considered for it, you want to compete. And to land it, you have to win the competition. Have you ever competed in anything in your life? The hand of a fair maiden? The attention of a handsome squire? And did you lose? Recall the exact moment you realized it was done, over and you had lost. How did it feel? Losing is always a painful experience. It doesn’t matter who you are. Look at 17- times tennis Grand Slam title winner and consensus Greatest of All Time, Roger Federer. Roger is among the highest paid athletes in the world; he’s made US$100 Million in winnings plus he rakes in US$40 Million in endorsements every year. Yet when Rafael Nadal beat him in the 2009 Australian Open Finals, he cried unabashedly in front of a million people. Would you be able to handle that? Don’t hesitate to talk things over with your family, a trusted friend or adviser. Landing that job can be life- changing. But finding that job will be daunting. Once you’ve committed to the process, embrace the moment. Your life has just embarked on a new journey; finding a job. An analogy would be a trip to the grocery store to buy coffee. When you get to the coffee aisle, you will be greeted by several brands of coffee retailing different types and varieties. But you probably have an idea on the type of coffee you are looking for plus a budget. Let’s assume you chose a mid- priced brand of Arabica coffee from Brazil. Does that mean the other varieties won’t sell? No. The other brands will cater to other consumers who are looking for those types of products. The question you need to answer is given the number of retailers, why did you settle for the brand you actually paid for? It has been customized according to who the company is. It conclusively answers the question, “Why you should hire me”. There are no grammatical errors and spelling mistakes. It is short, concise and contains only the necessary information. How you learned of the job. Identity of the person who referred you to the job, if any. Your pertinent experiences and qualifications from school and previous employment. Your value proposition to the company. Lastly, always end your cover letter with a closing that is confident without sounding presumptuous. You must always be respectful in tone throughout the cover letter. Recruiters value the resume among all documents. But they only spend an average of six seconds scanning your resume. 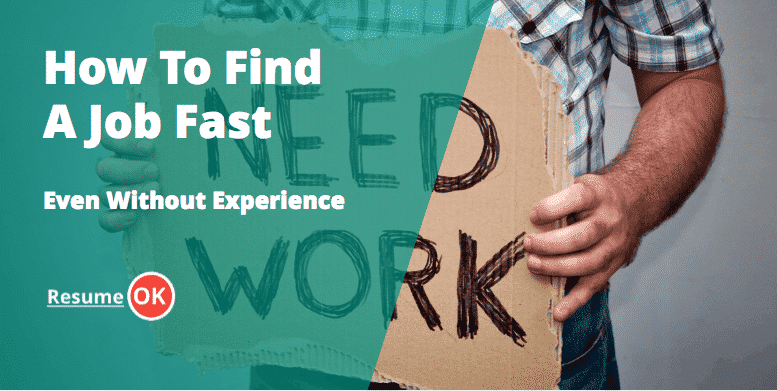 Your task is to make those six seconds last or find ways to extend their interest on your resume. Use a standard font like Times New Roman size 12 which appears to work best on recruiters. Attach a professionally shot photo. This is another long- standing argument but a photo indicates you are transparent. Recruiters would always want to know who they are dealing with. Always attach a photo. You have nothing to lose. Focus on the key points right away. Your latest employment and achievements must come right after your identification. Use bullet points to make it an easy read. Be conversational in tone. Recruiters feel more comfortable dealing with people who appear genuine, honest and sincere. Using technical jargon may short-sell your marketability as a candidate. Do not lie on your CV! Never! As mentioned recruiters are intuitive; if something sounds out- of- place they will cross check your information. All it takes is one lie, regardless of size, to damage your reputation in the industry. Make sure you give the recruiter a certified true copy of your transcript of records. This has to bear the signature of your school’s registrar. Again, do not attempt to change information or falsify this document. If your transcript is not as impressive as you’d like, focus on the other areas of the process such as the interview and the testing stage. Remember, your transcript of records is a public document. Tampering with it to gain an advantage can be viewed as a criminal offense. These are letters from references that highlight your capabilities, strengths and other notable qualifications. Specific information about your association with the reference. It must indicate specific information from the reference that directly relates to you. Summarizes your achievements, accomplishments or contributions specific to your association with the reference. A straight- forward and direct statement from the reference why you should be hired by the company or organization. Written under the letterhead of the reference. Aim to get multiple letters of recommendation. When requesting for these letters, give the reference the courtesy of a phone call or a personal visit. Inform him of your purpose and advise to possibly expect a call from the recruiter. In some instances, it may confirm your previous salary for reference purposes. Former employers are required to issue a Certificate of Employment provided you have complied with all the clearance requirements and cleared of all outstanding accountabilities. If you have an existing portfolio of work or samples of previous work, this would be a big advantage in your search for employment. That these have been verified 100% all- original work. There have been cases when writers submit samples that were not cleared through a plagiarism check. While it may be original in idea there could be some inadvertent duplication or close similarity in content with another work. Duplication could be disastrous and costly in your efforts to find a job. Once you are satisfied with how your documents are presented, make sure you have them available in digital format. Many companies prefer applications to made online and you will be required to attach these documents. This will be discussed further in the next section. So now you have the necessary documents ready. It’s now time to actively look for a job. Most people will peruse many sources for job openings. These include classified ads in newspapers, online communities, personal references, walk-in applications and cold calling. The idea is to distribute your application to as many prospective employers as possible. Sort of like creating a job funnel; the larger the opening the more prospective employers you can file through. As you move from one job offer to another the number of prospects decreases until what is left; and passes through the funnel will be the one that employs you. The idea of a funnel is great in the sense that a qualifying process is involved. However, acquiring for the sake of improving probability is not an efficient way of managing your time. The qualifying process should be commensurate with the acquisition process. In other words, distribute your application papers only to companies that you want to work with. To know which jobs you should apply to, you need to take inventory of your skill set. What can you offer these companies that you wish to apply to? What types of job or projects do you believe you are well- qualified for? Which industries or companies are hiring for your skill set? It should go without stating that your skill set must be related to your college degree or previous employment. You must be able to establish a relationship between your degree, skill set and the job you plan to apply for. For example, you plan to apply for a position in customer support but your degree is in Psychology. You can state that your background in Psychology has given you the advantage of having a better understanding of how people behave and think. You should also look into what constitutes as “basic work skills” in today’s business environment. Whereas in the early part of the millennium, basic knowledge of word processing and spreadsheet programs were enough to account for “computer skills”. Today, some companies actually require some knowledge of programming from a spreadsheet or knowledge on project management software. If you are not comfortable with your proficiently level, take the time to spruce it up. The next step is to identify the companies that you wish to prioritize in your job search. You probably have prior knowledge of the top companies in the industry, so you can start from there. Read up on the industry and be updated on trends, developments, statistics, forecasts and key players. Most recruiters will try to throw you off with a few questions on the industry. Conduct intelligence work or due diligence on the prospective company. There are a number of good online references.Glassdoor is a site where you can find information on what companies pay their employees plus available benefits. In social media, the best resource would be LinkedIn. Many large companies have a company page in LinkedIn and use the site as a way to network for candidates and business connections. You could also visit their Facebook page or Twitter account. Some company pages are closed groups; meaning only current employees can be members. But you can get information based on what they post. Ask around. You may have friends or associates who have worked with the target company or know someone who has. Find out how the hiring process goes and get ideas on company culture. Visit the company’s website. The website houses all the information the employer wants you to know. You can use this to cross- reference the information you gathered from your due diligence. After you have done the research, pinpointed the companies you want to apply to and the types of jobs you are suited for, it is time to shift gears and apply! The mode of application refers to the method or avenue you used to apply for the job. The most common modes of application are via website, online job sites or walk – in. Most companies’ websites have a sub- page that accommodates job applications. The usual headings are “Job Openings”, “Job Postings”, “Careers” or “We are Hiring”. The usual set up is for the sub- page to have a built- in application form that is ready for you to fill- out. There may also be an icon which you click to take you to another landing page. Not many websites have facilities that allow you to attach your pre- employment documents. If this is not available, check if there is an option to e- mail your documents. Some websites will post job openings, career opportunities and some will not. Regardless of the availability of openings or opportunities, send your application just the same. Recruiters are dynamically searching for talent. They receive hundreds and thousands of applications everyday through different channels. Recruiters will take the time; six seconds or not, to review these applications because one of their objectives is to build up their manpower complement. Not all job openings are posted or circulated publicly. Some of the company’s personnel requirement is circulated internally. This could be because the nature of the job may be sensitive and management only wants to consider pre- qualified talent. There are several reputable online job sites you can access to find work. Several large businesses utilize these job sites to post jobs or scour for talent. Please take note that these job sites function as an “exchange center”; they create conditions for companies to find potential candidates and vice- versa. This means you will have to establish an online profile. If required, use the latest professionally- taken photo. Make sure it has good resolution. Only wear two things: a nice business shirt and a warm smile.Avoid “concept photos”; these are highly- stylized pictures with the intent of impressing a desired image to the viewer. Some include photos of the candidate inside the driver’s seat of a luxury car.Forget it! In the first place, no one would know if it really is your car. When asked to write a paragraph about “who you are”, keep the tone and content conversational. Don’t come across as a stiff, “know- it- all” by using technical jargon. Recruiters want someone who comes off as honest, sincere and trust- worthy. Focus on the most important accomplishments in your career and time in the academe. Do not spare the details. Recruiters seem more “at-ease” when perusing qualifications in a job site. Perhaps because sometimes the job site sends the recommendations directly to the recruiters and are regarded as “pre- qualified”. If the job site asks you to take proficiency tests, take them! These proficiency tests add value to your online profile. While not all job sites will allow you to upload your pre- employment documents, most have the facilities to accommodate your portfolio, sample works and letters of recommendation. Make sure these are upgraded before you upload them. Indeed.com. This is widely regarded as the best online job site with millions of job listings posted from company websites, community billboards, online job directories and other sources. Dice.com. If you skilled in highly- technical work, dice.com is the job site for you. This site allows you to search jobs by skill, employment type, and job title. You also get career advice and the latest tech news. Glassdoor.com. This is an interesting job site in that it features reviews from former employees and managers. They will disclose salary information, CEO reviews and benefits packages. Glassdoor.com is a valuable resource for getting inside information on a prospective employer. Idealist.com. If you are looking for a “right- fit” engagement, this could be the job site for you. You can pinpoint organizations based on their mission statement or purpose in business. There are great opportunities for volunteer work. LinkedIn.com. Unlike Facebook, LinkedIn is the professional’s preferred choice for networking. LinkedIn allows members to start company pages where they can blog to promote ideas, products and services. Blogging is an effective inbound marketing tool to get noticed by recruiters. You can also join focus groups to share common interests. Linkup.com. This job site offers a unique proposition in that it uncovers unadvertised job postings from company websites. Because the postings are sourced directly from the company itself, you can be assured the jobs are legitimate and not scams. Monster.com. One of the oldest job sites, monster.com has expanded its services by offering downloadable apps for job seekers. At monster.com, you can upload your original pre- employment documents and browse through the job post history of several companies. SimplyHired.com. This job site purportedly operates one the world’s largest search engines which allow it to access millions of jobs around the work. The search engine can access job postings from websites, community billboards and online directories then deliver them to subscribers via e- mail, social media or mobile messaging. ZipRecruiter.com. Search hundreds of job boards at once. Most people who patronize social media are not aware you can use these networks to find jobs. Remember that not all social networks function in the same way. Each fosters its own culture and harbors distinct nuances which change the way you approach networking. We’ve already discussed LinkedIn which caters primarily to establishing professional connections. But other social media networks can be used to successfully network with key people in the industry land find good jobs as well. It’s all about relationships. Whether it’s LinkedIn or Facebook, if you try to shove your business proposition to a new contact right away, you will fail miserably. Keep in mind of the word, “social” which means to build relations. When a person accepts an invitation to connect, reach and express your appreciation. You can introduce yourself and what you do but no more than that. Keep your message short and always close with a courtesy ending. A relationship starts once the connection responds; then you build it from there. Whether you are a 9- to- 5 employee, an entrepreneur or fresh out of college, it is always a good idea to start a business page. This gives you the forum to highlight your ideas on business, industry and other topics that you normally would not post on your personal page. The business page gives you another avenue to be seen and heard by prospective employers. Join focus groups or communities that are involved in the industries you are interested in. The key here is to engage as often as you can. There is only one rule in engagement: Be respectful of the comments of others. Think of engagement as sharing ideas. Frequent engagement builds your reputation as an expert in your field of interest. Stay active. Social media works by giving you several platforms to be discovered. But you have to stay active. Post frequently in social media. Do not post content just for the sake of being active. Plan out your content. Use keywords. Make sure your ideas are fresh, unique, relevant and engaging. Start a blog. There are no requirements to start a blog page. The statistics supporting the effectiveness of blogging are overwhelming. Connect your blog to your social media networks and stay active. You need frequent blogging to gain traction. One of your readers may actually be a recruiter or a potential employer. Not too many people are aware but some recruiters will use social media to make a final selection on a candidate. Over the last few years, more emphasis has been given to a candidate’s behavioral profile than his technical and fundamental competencies. Social media has the ability to enable its user; it lets your guard down. That is why some posts become viral for the wrong reasons. Social media gives recruiters a forum to evaluate “who” you are; how you think, what you like and what you believe. Although digital technology, the Internet and social media have made it easier to reach out to potential employers, there is still room to incorporate old- school traditional methods for job hunting. Cold calling.If you have referrals or tips from people who are connected with specific companies, cold calling may turn “luke warm”. Make sure you connect with the person identified by your contact. Second, mention your contact’s name and how you came about the job opening. Finally, if the company representative appears to be non- cooperative, inform him that you will submit your pre-employment documents nonetheless. Walk- in.Another strategy that would be more efficient and productive if you have connections or referrals. When you get to the office of your target company, ask to see the person- in- charge as identified by your contact. Follow the same procedure as “cold calling”. Job Fair.There are many companies that attend job fairs. You can line up the booth of your choice and fill out an application form. Often an on- the – spot interview will be conducted. Be ready at all times. So finally after weeks of hard work, the seeds of your labor have borne fruit. You get a few calls inviting you for the job schedule. This is a big step but make no mistake about, the real work is just about to begin. Passing the interview is crucial in moving on the next stage. But some of the most talented candidates falter in the interview and lose a great opportunity. Preparation starts the night before. Review your documents and write down the list of possible questions. Practice your answers but do not memorize them. Ask a trusted friend to engage in role playing. Make sure you are well- groomed. Select nice, professional- looking dress clothes. Wear a suit if you have. If not, a dress shirt with tie would do for men and a blazer with pants for women. Always greet you interviewer with a warm smile and a firm handshake. Be relaxed throughout the interview and listen intently to the questions. If the questions seem vague, take the time to think about your answers or ask the interview to repeat the question. Recruiters prefer candidates who are cautious and certain than those who are reckless. Be engaging during the interview; you have to embed your presence to the company. Here are 50 of the most frequently asked job interview questions, along with the best answers to give. The most important thing to keep in mind when finding a job is to never give up. Yes, it sounds cliché but it is truism that will help you not just find a job but LAND a job. You may never hear from the companies you applied for. Or if you do, you may be rejected somewhere along the way. But rejection and failure are part of the process. It is the organic way of filtering opportunities until you find the right one. Remember, somewhere out there is a paycheck with your name on it! Was this guide useful? Let us know your thoughts in the comments section below and don’t forget to share this article with your friends.